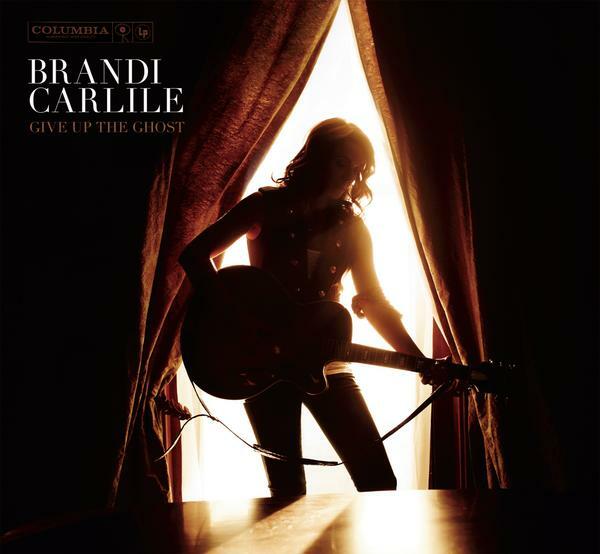 Brandi Carlile's new album Give Up the Ghost…a review. Yesterday I was given a very exciting opportunity to listen to and write a review of Brandi’s new album coming out on Tuesday, October 6th. When I got the email, I was thrilled! I’m sure you aren’t surprised. But then…I got freaked out. I’m not a writer. I don’t have the gift of literary expression that so many others out there do. How am I going to get across to you all what I hear and feel when I listen to this album? I admit that it feels very personal. I identify very strongly with music. (Thanks, Mom and Dad!) The lyrics, the arrangement of the music, the little subtleties that you find on repeated listens…these are the things that make listening to new songs so appealing. So, where to begin? Brandi and the twins have an amazing way with words. (Maybe I should ask them to write this review for me… No? Ack. Ok, fine.) No stories were left untold on this album. Dying Day and Caroline are stories from the road, one longing and one raucous and fun. Insistent love stories like Looking Out…”I close my eyes, I think of you. I take a step, I think of you. I catch my breath, I think of you. I can not rest, I think of you.” And the heartbreaking story of loss in That Year. Brandi’s voice is so versatile as she tells each of these stories. She draws me in. I could sit and listen for hours (and you know I have, lol!). My favorite song lyrically…? It would probably be Pride and Joy. I’ve loved it for a long time. I’ve heard it live many times (it’s totally different live) , and it hits me in my heart *every* *time*. I find the songs on this album musically diverse. I love the soft feel of Touching the Ground, I Will and That Year. The instruments are so understated, providing the perfect balance for Brandi’s amazing vocals. Then you have songs like Looking Out and Dreams with totally rockin’ drum beats. Holy cow, I dig those drums. I absolutely can not play Dreams without turning it way up, jamming along, and singing at the top of my lungs. Awesome. My favorite song musically is definitely Before it Breaks. Brandi’s voice and the piano are amazing together and *then* the drums come in. The slower sections giving way to that hard driving beat…it’s musical perfection for me. Thanks to those who listened and commented on my last post. I still would love to hear what you think if you didn’t comment before. And of course I would love to hear your thoughts on this review. Thanks for reading!! “No gift of literary expression”. I think you under-estimate yourself. I love the review and I think you are dead on. The more I listen to the songs the more I am drawn in. Love the album and love your review. So sad, the only tour date for here is at the Tabernacle next weekend and the boss is on vacation, so no time off for me. –By the way…still haven’t heard anything. Will let you know soon…I hope.